Assessment in education via web tools, also known as e-assessment, deals with the effective use of technology to support a successful pedagogy. The aim of this study was to investigate learning outcomes and students' attitudes to online Moodle quizzes in order to improve instructional design. The research population included 204 college students enrolled in life sciences who participated in an introductory physics course. A blended learning model was used based on large, traditional face-to-face lectures, practice sessions held with smaller groups of about 25 students and a rich Moodle learning environment. Students' knowledge and understanding were assessed weekly, throughout the semester, using different methods: three ordinary, short, written tests and online quizzes in the Moodle environment. Students' attitudes to the online quizzes compared to the written tests were investigated by a questionnaire. Results indicate a generally positive attitude towards online quizzes with no differences with respect to gender. A positive significant relationship was found between attitudes and scores in online quizzes. Comparing between the first attempt and the last attempt at the last online quiz revealed significant improvements in the time spent solving the online quiz and in the grade. Three variables were found to be significant predictors of the grade in the final exam: science department, average grade in written tests and average grade in online quizzes. 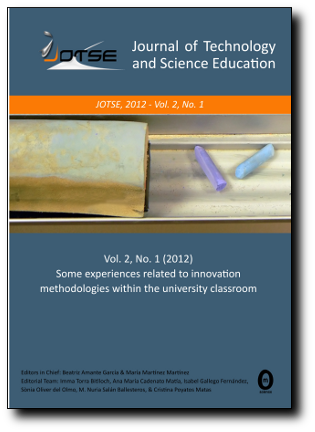 Learning outcomes and students' attitudes to online Moodle quizzes were used to improve instructional design demonstrating formative assessment in higher education.